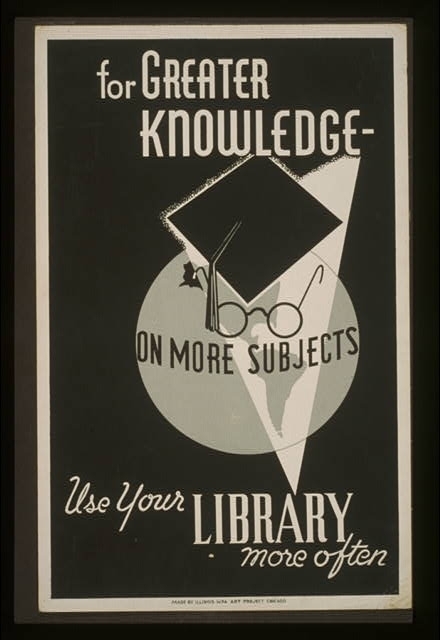 Even in the age of the e-reader, I much prefer going to the ol' library for my literary pursuits. Besides grabbing some nonfiction pieces (and okay, some more Jane Austen), I love looking at library promotional posters with different authors and celebrities promoting literacy. 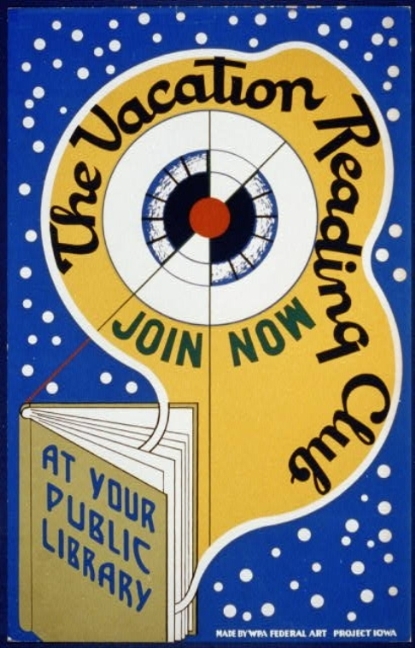 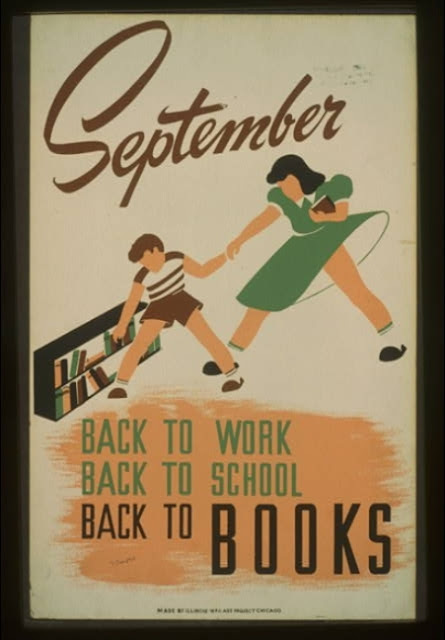 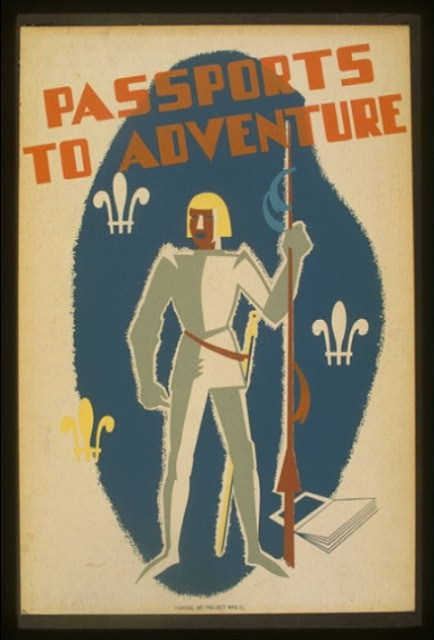 Which is why I love these WPA reading posters from the 1930s and 1950s. 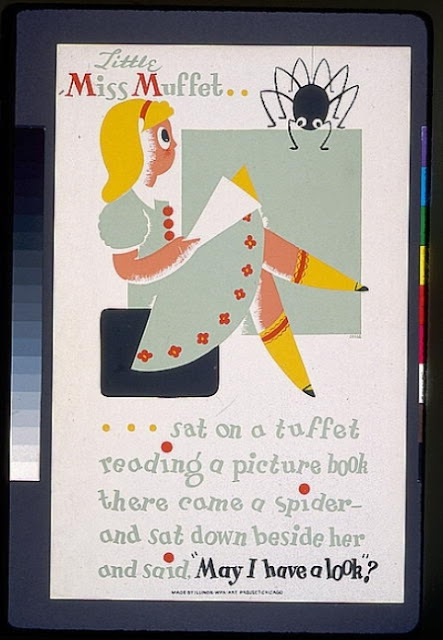 Their bright colors and storybook allusions are simple yet fanciful enough to capture the imagination ... and perhaps inspire a few hours of page-turning. 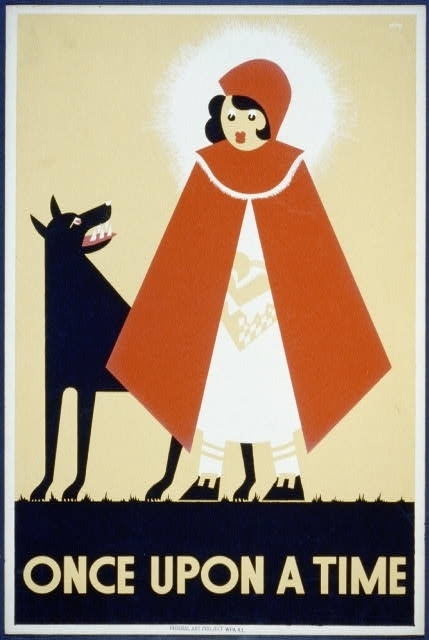 All prints from the WPA archives.